This presentation focuses on the value and uses of Building Information Modeling (BIM) to Owners, Architects, Engineers, and the community. It provides a consistent definition of BIM and provides the Mechanical Engineer with the information needed to begin the process of adopting and using BIM as an integrated design tool to optimize mechanical systems design, improve collaboration, minimize coordination errors and deliver better work products and results. It also provides Mechanical Engineers with the information they need have included in a BIM before they receive it so that they may take advantage of its value without having to spend unproductive time cleaning up corrupt or incomplete files and filling in missing information. The presentation also discusses how ASHRAE is participating in global efforts in helping to move this technology forward to benefit our industry. The presenter is ASHRAE Distinguished Lecturer Dennis Knight. Mr. Knight has almost 40 years’ experience providing engineering, design and construction related services within the building industry. He is active at the local, state and national levels with various agencies and professional societies to help develop sustainable, integrated building design guidelines. A few of those agencies and organizations he participates in regularly include the American Society of Heating, Refrigerating and Air Conditioning Engineers (ASHRAE), the US Green Building Council SC Chapter, the SC Office of School Facility Design Guide Committee and the Construction Specifications Institute (CSI). 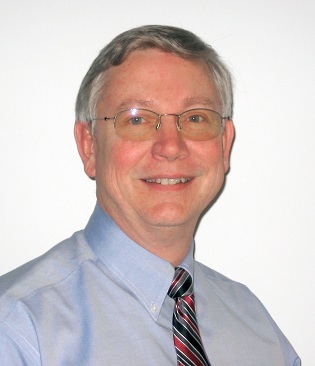 Nationally, as a member of ASHRAE, Dennis is the Vice Chairman for Research Promotion, serves as the Chairman of the Handbook Subcommittee tasked with developing handbook chapters for "Integrated Building Design" and is a member of the BIM Steering Committee. Prior to joining Liollio Architecture in January 2005, Mr. Knight was an Owner and Managing Member of both a local engineering company and a construction company for 21 years. He strives to facilitate the integration of each element and discipline required in a project, with consideration for the life-cycle costs and benefits related to those elements, so that all the pieces and parts of a building work together in concert with each other and their surroundings. Register early! Seminar limited to 40 attendees. We ask that you pre-register for the technical seminar at your earliest convenience online at www.torontoashrae.com, select “Meeting Registration and Calendar” from the left tab and then “Register” button for the ASHRAE Toronto - August 2013 Technical Breakfast Seminar.